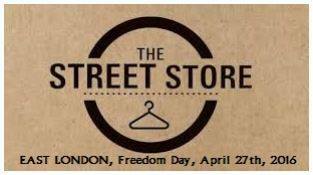 I shall be involved with this on 27 April and my appeal is for clothing of any kind that is in a reasonable condition. We are all cleaning out our cupboards with the change of season, so that shirt you have not worn for some time or that dress that is just gathering dust, please consider dropping it off at school. I shall have a number of boxes outside my offce. Items can be placed in these. Thank you, I know we are always appealing for something and I apologise for this, but your donation will bring dignity to another human being.